Are you thinking about installing completely new patio or French doors or replacing your old ones? If so, you may be interested in the best Bi-fold doors Cheshire has to offer. Here at Clear View, we are specialists in bi-folding and sliding doors, so to find out more, please call us today on 0800 1357167. Bi-folding doors are best defined as a multi-folding door that creates a 90% clear opening, giving you complete open access to your garden outside. Typically, these doors open in a concertina style and neatly fold flat when open, either on the exterior or interior. The aluminium materials we use for our bi-fold doors in Cheshire are strong, light weight, and versatile, making them ideal for this use. It is also extremely durable, which is why we are able to offer a 10 year guarantee with all our folding door systems. 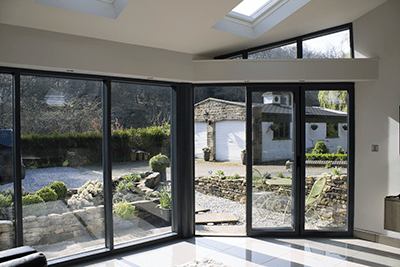 We provide a range of aluminium bi-fold doors Cheshire clients can rely on. Our advanced bi-folding door systems are a beautiful and functional alternative to patio or French doors, which only provide around a 40% opening. Here at Clear View, we can design, manufacture, and install an average aluminium bi-folding door system in under four weeks. Our highly qualified engineers are able to provide bi-fold doors in Cheshire to meet your specific needs and requirements. Regardless of which service or product you are after, whether Cheshire bi-fold doors or something else, you can expect only the highest quality service and results. 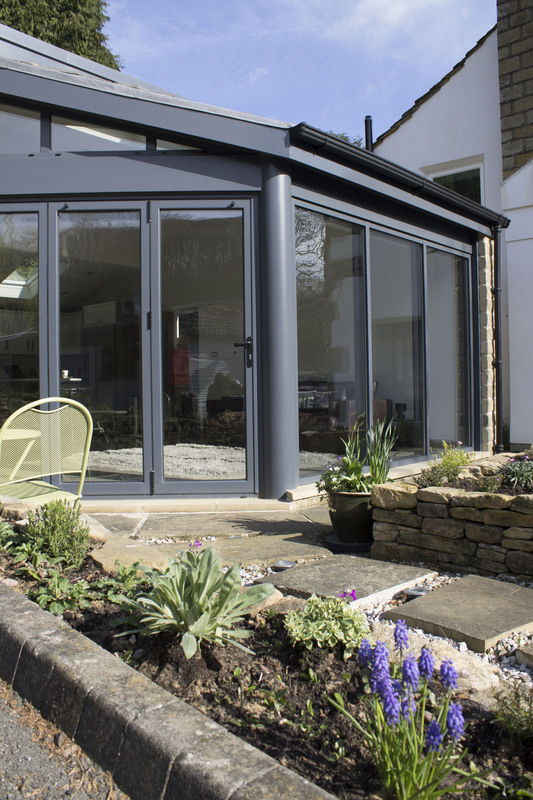 When it comes to the manufacture and installation of bi-fold doors, Cheshire clients will want to know they are using the premier company in the industry. In this case, that company is Clear View, and we are specialists in bi-folding and sliding doors. We provide a complete end to end solution, beginning with our in-house design team. Our trained and dedicated team will learn about you, your home, and what you require from your doors in order to better advise you. Once you have decided the details of your Cheshire bi-fold doors, our next stage is to provide you with a detailed quotation. Upon receipt of your order, we will arrange a suitable date to carry out our survey. When measurements have been taken, our team of qualified engineers will begin construction of your doors. Each engineer is fully trained on each stage of assembly, meaning they can perfect the work they do and provide you with doors to rival any in the industry. Once your doors are fully assembled, our installations team will return to your property and install your brand new bi-fold doors in Cheshire. Depending on the size of the job, installation usually only takes a few hours so, in no time at all, you will have beautiful new bespoke doors for your home. If you are still unsure about our services and need further convincing that we are the best for bi-fold doors Cheshire offers, please read through our testimonials page. Much of our new work comes from recommendations and word of mouth from previous clients who were highly satisfied with our services. Once you read the customer reviews, we believe you will be confident that we are the best in the industry. If you wish to see our high quality work for yourself, or require inspiration, please browse through our gallery page. To find out more about the best bi-fold doors Cheshire has to offer, please contact us today on 0800 1357167. 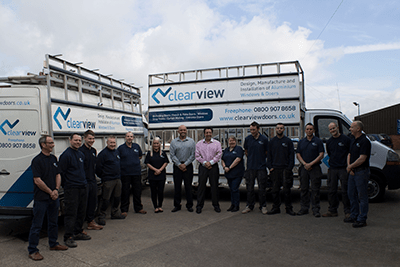 Alternatively, you can fill out the form on our website or email us at sales@clearviewdoors.co.uk and a member of the Clear View team will respond quickly and effectively.